Flash bulletin for burger cravers! There’s something fresh brewin’ with our all-time favorite Pinoy burger from Jollibee! Jollibee, the country’s number one fast-food chain, has always been a destination for Filipinos craving for timeless flavors and quality products that taste even better when shared with family and friends. 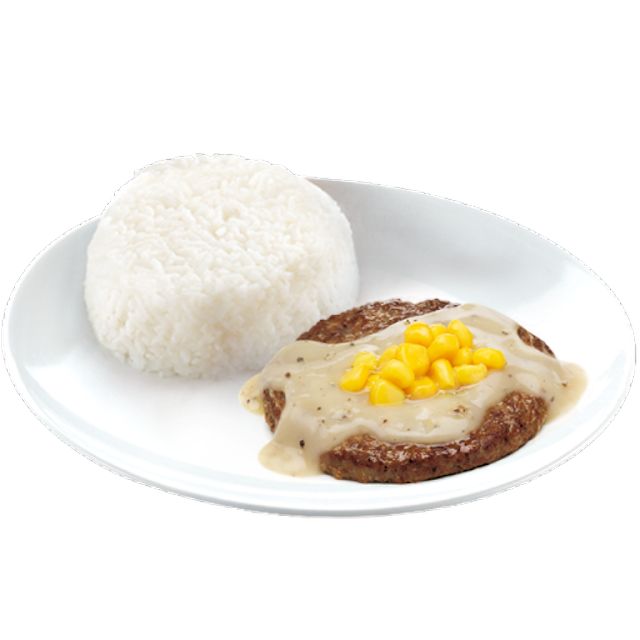 The Jollibee Burger Steak, one of the chain’s best-selling core products, remains a timeless favorite for many Pinoys, thanks to the delicious combination of Jollibee’s signature beef patty, flavor-packed mushroom sauce topped with real mushroom slices, and steamed white rice. This makes for a popular breakfast, lunch, and dinner meal among Jollibee customers of all ages. 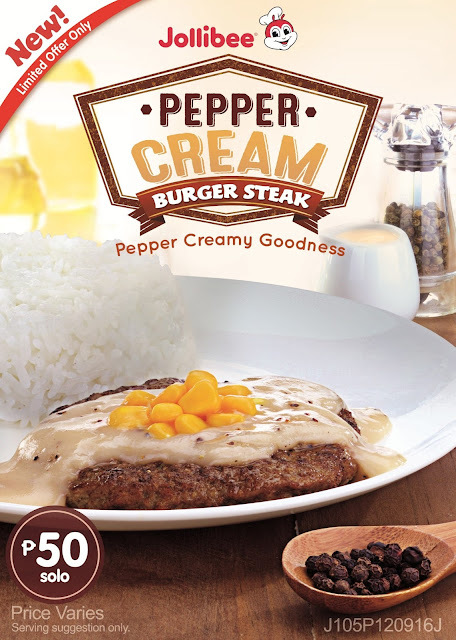 The Classic Burger Steak that Pinoys have always loved gets a rich new twist with the New Pepper Cream Burger Steak. With a sauce made of real cream and a generous infusion of black pepper, this new Burger Steak variant offers a spark of heat and full-bodied flavors balanced by refreshing sweet corn kernels. The perfectly seasoned made with 100% real beef patty remains the highlight of Jollibee’s latest offering. The patty is browned on both sides but remain juicy and tender in the middle, delivering pepper-creamy-beefy goodness in every bite. The Pepper Cream Burger Steak is now available for dine-in, take-out, delivery, and drive-thru all over the country. The new Jollibee Pepper Cream Burger Steak retails at PHP50.00* for one (1) piece solo meal (without drinks) and PHP55.00* for Value Meal (with softdrinks).